If you need to rip a cylinder in half or quarters for a project, watch this video first. It can be a very dangerous activity if you do not take the necessary precautions. 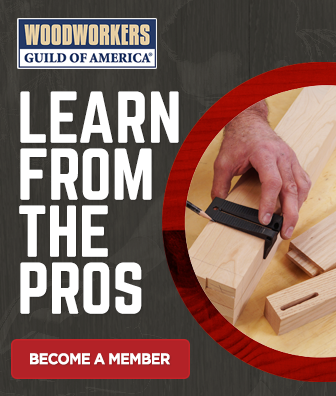 If you attempt to free-hand this cut on a table saw, the cylinder will inevitably roll slightly, creating a binding condition at the blade, and you know what that means. This will create a heart-stopping, spine tingling dramatic event in your shop that you will not want to experience. Now with all of those warnings out of the way, you’ll be surprised by how simple it is to do this safely. It all comes down to following a couple setup steps so that the cylinder is stabilized before the cut, leaving it no opportunity to roll during the ripping operation. Make the ends square. 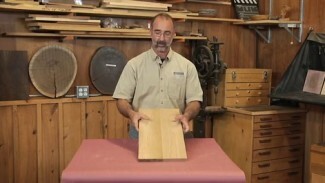 Of course you’re not actually going to mill square ends onto your cylinder, but by following the technique that George demonstrates you will effectively create square ends on your cylinder. Stretch your fence. 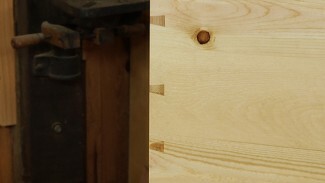 For many cylinders the length of the stock table saw fence will not be sufficient. Without modification it would leave the work piece unsupported during part of the cut which is a very dangerous condition on a table saw. You don’t have to actually modify your existing fence, but rather apply George’s technique for extending the reach of the fence. Rip as normal. Once the special steps have been completed, you are able to rip the cylinder in a cutting operation that is not different from a standard rip on a normal board. 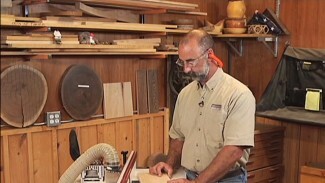 While you are in “cylinder mode” you might want to check out some tips on how to turn a cylinder. 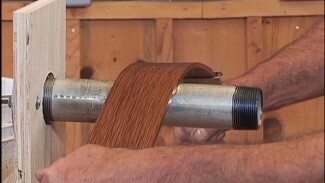 Also, there are some cool special techniques that can be used for sanding a cylinder.